The surveillance app, the name of which literally translates to “web cleansing,” scans for photos and videos and dispatches all the information to a mysterious outside server. Ethnic Uighurs in China's west say they are being forced to download an app that scans cell phones for audio and video files and dispatches their information to an outside server. China has ramped up the use of both human policing and high-tech surveillance in Xinjiang, the far-west region that’s the home of the Uighur ethnic minority group and has seen periodic unrest. The government says the measures are necessary on national security grounds, but critics say they violate people’s basic privacy rights. 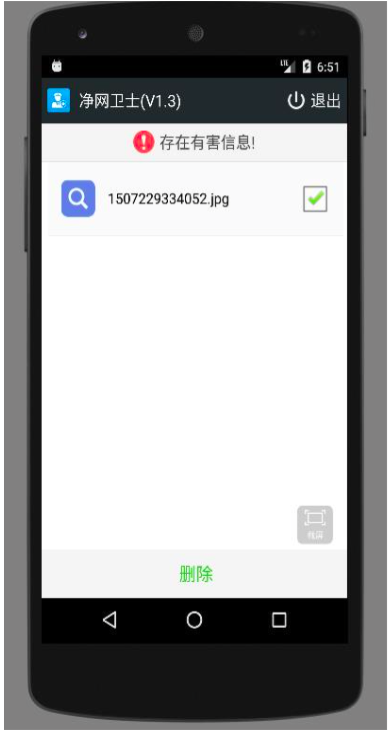 Jingwang Weishi compares the identifiers it finds against a huge internal database of files, the researchers found, and if a “dangerous” file is identified, the app sends a message to the person using the phone telling them to delete it. The app also dispatches information on every single file found on the device to an outside server, the researchers said. It does not use any encryption. 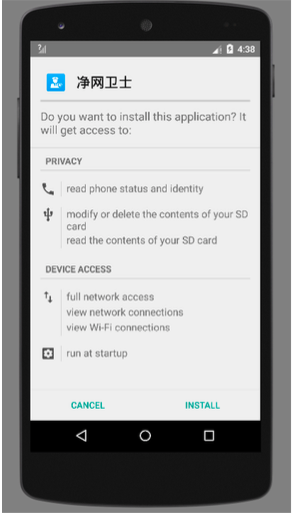 “Any user with this app installed will have every file stored on their device sent to a unknown entity for monitoring,” Open Technology Fund said in a blog post describing the findings. Security cameras in Ürümqi, the capital of Xinjiang. The app’s focus on multimedia files ties into regulations in Xinjiang banning multimedia content that is deemed to be promoting terrorist ideologies. Many in the region believe that this broad category includes even ordinary pictures and videos with religious or cultural content. Police checks of cell phones and computers have become routine in the region, and BuzzFeed News witnessed Uighurs having their cell phones checked at a highway checkpoint outside the southern city of Kashgar last year. Thousands of Uighurs have disappeared into political education prisons over the past year without being charged with any crime. Reports about people being asked — and forced — to download the app began to surface last year, with some screenshots of the app beginning to appear on social media, leading to speculation about what it actually did. People even joke about Jingwang Weishi on Weibo, China’s heavily censored answer to Twitter. “Well at least I don’t have to worry about getting my phone checked on the street,” posted one user above a photo of a paper flyer with a QR code linked to the app last August. “Now I know the magic of ‘Jingwang Weishi,’” wrote another. “I can’t load photos on WeChat anymore.” Both users listed their locations as Ürümqi, the capital city of Xinjiang. In addition to Jingwang Weishi, police departments in Xinjiang have also pressured residents to download an app called Baixing Anquan, or Citizen Security, which has been referenced in several state media reports. Citizen Security enabled citizens to easily submit tips about “potential threats to social stability” to police for rewards, the article noted. It was downloaded more than 147,000 times in its first three months of use last year and yielded more than 30,000 tips, it said. Paramilitary police officers standing guard outside a shopping mall in Hotan, in Xinjiang. T., a Uighur writer who lived in Ürümqi with his family until the middle of last year and who has since left Xinjiang, said his wife had been forced to download a surveillance app that she believes was Jingwang Weishi. He declined to have his full name published out of concern that authorities would punish his relatives who remain in Xinjiang and are being held in political education centers there. Last July, T. and his wife took a driving trip, heading east in the mountainous Tianshan district. They stopped at a petrol station, and police officers there only allowed T., who was driving, inside to fill up. His wife stood outside and was approached by a police officer who was stationed there. T. said his wife asked what the app was, and the officer told her it was for her own protection. If she encountered any criminals, the officer told her, the app would help police find her. William Yang in Taipei contributed additional reporting to this story.